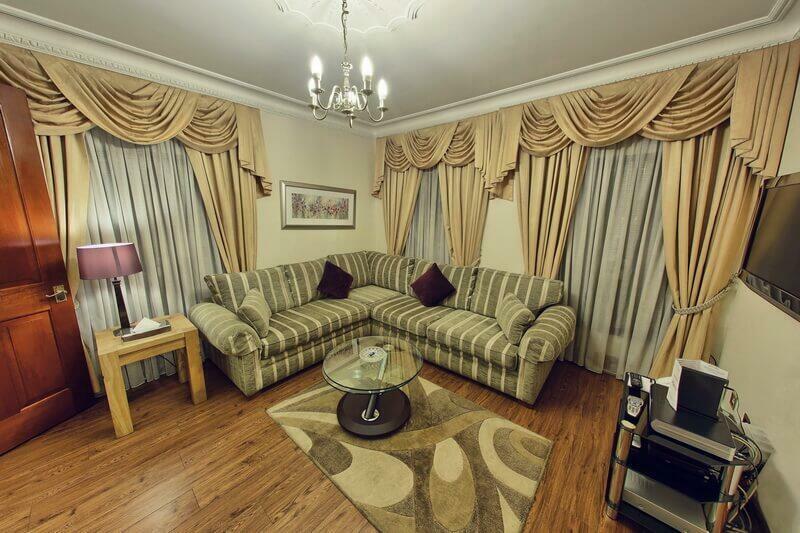 If you are hunting for serviced apartments in Mayfair, London, Carlton Court is the place to be. The building consists of five apartments and is in Down Street, just off Piccadilly. You are therefore within walking distance of pretty much everything, especially London’s finest shopping in Knightsbridge, Bond Street, Oxford Street, Piccadilly, and Regent Street. The apartments in Carlton Court range from a one bedroom penthouse for two people to a three bedroom apartment that will sleep up to six. They are the last word in luxury, and all have king sized beds, and the latest Sky HD TV’s in every room with access to around 2,000 TV channels in a multitude of languages, Sky Sports, Movies, and more. Carlton Court has a 24-hour concierge and security service, and our staff here also speak many languages including French, Japanese, Russian, and Arabic. Every apartment has a fully fitted kitchen with washing machine, dryer, and dishwasher, and there is air conditioning for the summer and underfloor heating for winter. The housekeeping and maid service operates seven days a week, and every apartment has high speed broadband fitted. We even supply you with an electronic safe for your valuables which has your own personal code. Compared with the cramped confines of a hotel bedroom, Carlton Court gives you plenty of space in which to move about and to relax in comfort on the luxury sofas we have installed. It is really your own home away from home for the duration of your stay, so you are not in a huge building with two or three hundred other people. You can come and go as you please, buy your own food and cook your meals, although if you don’t feel like cooking there are some of the finest restaurants in the world right on your doorstep - literally within a few minutes’ walk. In order to get every day off to a great start, we supply you with the famous Carlton Court breakfast hamper crammed with all sorts of goodies, so once breakfasted, the rest of the day is your own to do with as you please.